Your venue partner dashboard, at a glance. Venuemob Manager is a one-stop shop for all Venuemob venue partners. We built this dashboard to ensure all venue partners are able book as many events as possible as easily as possible, and to facilitate each team keeping their listing(s) up to date. What can I do on Venuemob Manager? 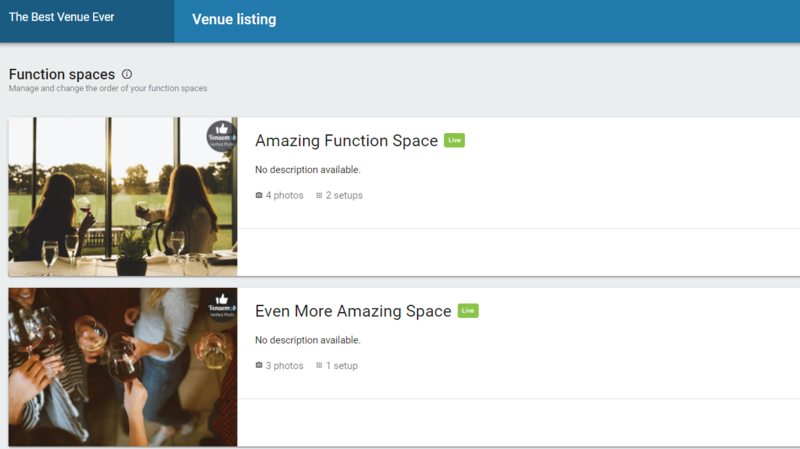 Venuemob Manager also allows venue partners to input their own, non-Venuemob event leads and bookings into the system (which you don't have to pay commission on!). Why? We know that many function and event teams use their own systems and booking platforms, but after doing extensive research across different venue types, we ALSO know that many teams still use a pen and paper for bookings, or a sort of ad hoc email-and-reminders system. This is our first step in providing a real solution to the disparate way the events industry handles bookings (and obviously, our attempt to make life easier for you!). And as always, we value your feedback. After all, you – our venue partners – are the ones using Venuemob Manager. Don't hesitate to leave feedback in the dashboard directly, or flick us an email at venues@venuemob.com.au.